systems. 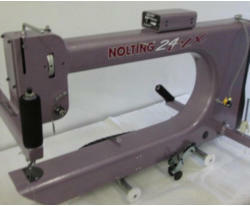 Nolting machines and frames are totally Made in USA in Hiawatha, Iowa. longarm. And, you are entitled to a FREE longarm class at our Avon studio. Finance your longarm and/or computer guided purchase through Red Thread Financial Group or ACG Equipment, or consider Nolting’s no interest layaway plan. Give us a call for more information. We would be happy to help you with financing options. 585.2263.2577 Click on the Red Thread or ACG logo for more financing information. 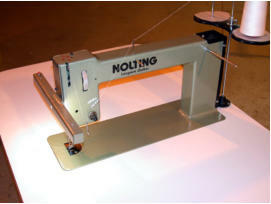 Nolting’s fifth generation stitch regulator with features and tools designed to make your quilting easier, more accurate and more productive. Touch screen control offers four operating modes. 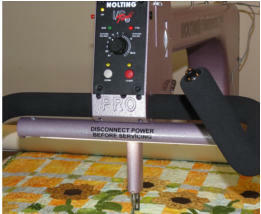 The PRO series machine has additional features like the ergonomic adjustable handles to make your 24/7 quilting experience even easier. 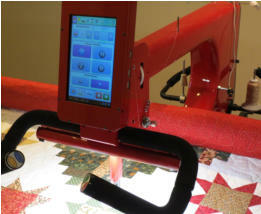 Stitch regulated with built in laser light. Identical head as the PRO and stitch regulated with built in laser light. 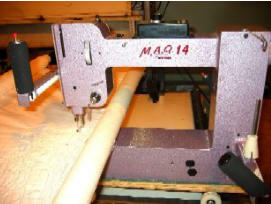 This economical machine is the perfect companion for computer guided quilting. 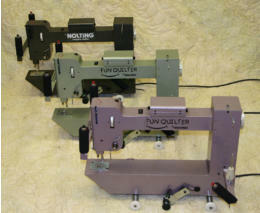 The Fun Quilter utilizes the same internal machine parts as the Nolting PRO, NV and CLX. Like all Nolting machines, built to last and easy to use. Frame options available. 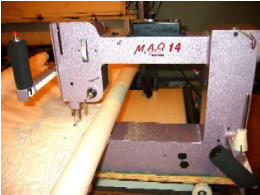 The MAQ 14 is an entry level 14” throat machine that is not stitch regulated. and available with frame options. The Quilting Bee is for sit down quilters and utilizes the same technology as other Nolting machines, including excellent task lighting with a large work surface. totally Made in USA in Hiawatha, Iowa. class at our Avon studio.